Since 1981, when the Atlanta resident first stepped into a Formula Ford, Murry has been building a reputation as a fast and consistent racing driver. In addition to his professional and technical expertise, he has become known as one of the "good guys" in the often wacky world of motorsports. In 2016 David focused on "David Murry Track Days" and drove for TeamTGM in a Porsche GT4 Cayman in the IMSA Continental Tire GS series.TeamTGM made the commitment to run a professional effort in 2013 and hired David to help bring the team to the next level. Ted Giovanis, co-driver is also the team owner and has been competing in a number of different series including GA CT and was ready to take on the challenge of 2013. The team was 8th in points in 2014 before an accident caused them to drop out of the top 10. In 2015 led the championship points after 3 races. In 2009 David earned the pole at the pinnacle of the ALMS season, Petit LeMans at Road Atlanta in his Robertson Racing Ford GT in the ultra competitive GT class against factories like Porsche, BMW, Ferrari, Corvette, Jaguar, and others. The team went to Japan to compete in the Asian LeMans series for the last race of the season where David drove to the lead at the start and held the lead for the first hour of the race. 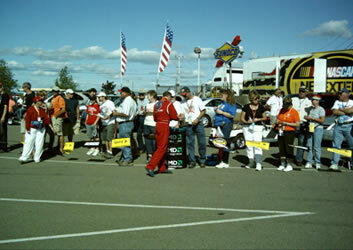 David began his 2008 race season driving for Autometrics Racing in the Daytona 24 hour race running as high as 2nd in the first hour and finishing 11th in a field of over 40 cars. He then competed in all ALMS GT2 races driving with Robertson Racing the much anticipated Ford GT. 2007 race season saw David as a factory driver for Nissan and competed in the Grand American/Rolex Series driving GT cars. This would be David’s employment by a fourth different manufacturer. 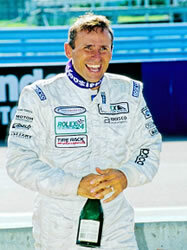 He also competed in Daytona Prototypes, driving a Porsche powered Doran chassis. Murry's career began in Formula Fords, leading to the Sports Renault series. From 1981 to 1991, while driving everything he could get his hands on, he won numerous races and the 1985 Sports Renault Championship. 1991 saw the beginning of David’s long tern relationship with manufacturers. He drove an Esprit for the Lotus factory and immediately won two races, so impressing Porsche that they hired him away from Lotus as a factory driver. Driving a Porsche 968 in the Firestone Firehawk Series, Murry recorded three wins in the 1992 and 1993 seasons. In the same 968, he won five races and claimed the 1994 Firehawk Drivers Championship and the manufacturer’s title for Porsche while finishing second in the prestigious World Porsche Cup standings. David also won the World Challenge Championship in a Porsche 911 Turbo. 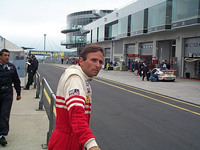 David also drove for the Porsche factory at LeMans in their LMP1 car competing for the overall win. BMW then approached David contracting him to drive their BMW M3-GTR..